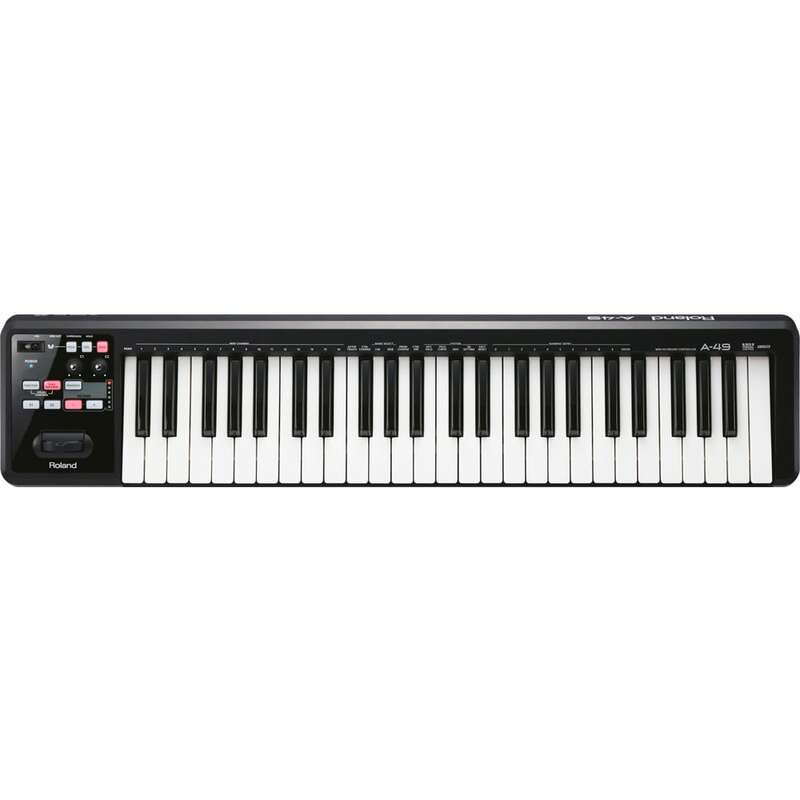 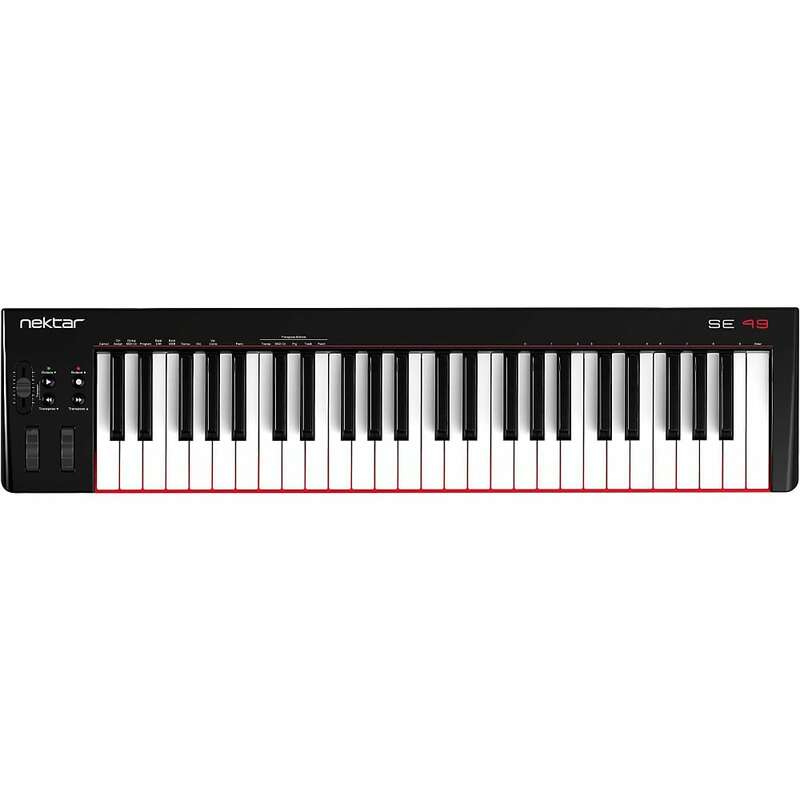 The Roland A-49 is a portable MIDI Keyboard controller that delivers the feel and response that is often sacrificed in portable controllers. 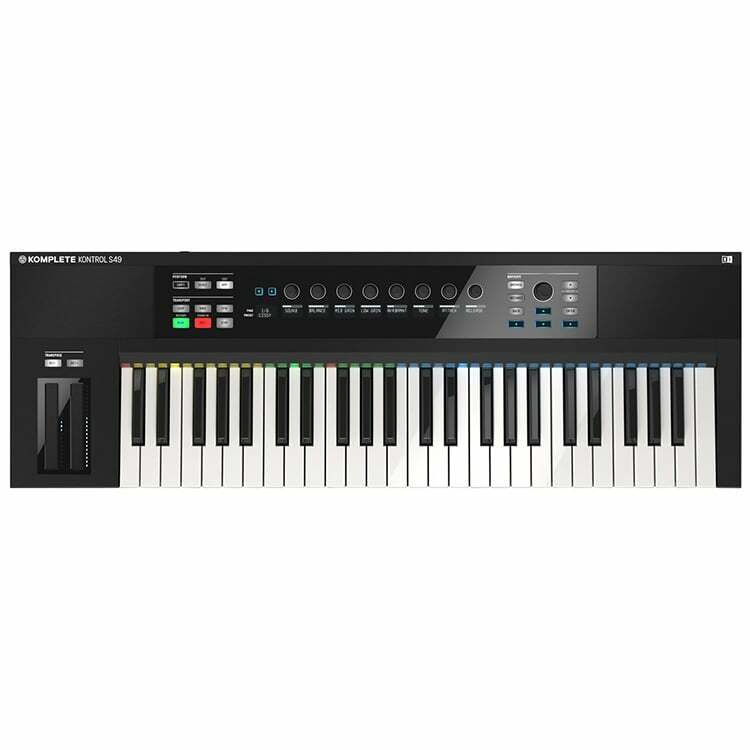 With the new A-49, the game has changed — this lightweight, slim-line controller features a premium-grade, full-size keyboard that raises the bar in its class. 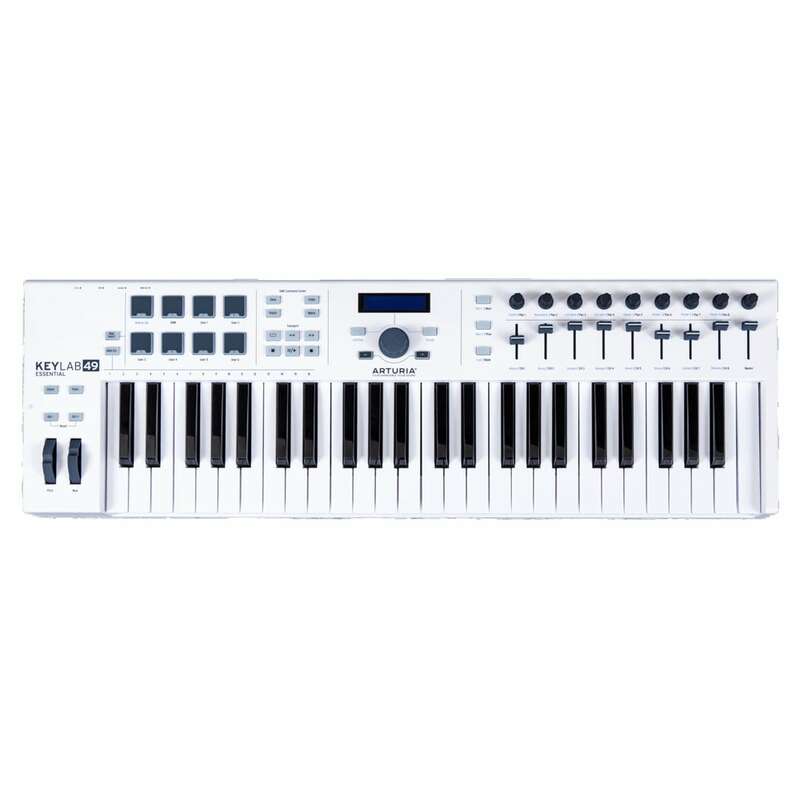 Available in pearl white and black finishes, the A-49 is a dream for musicians seeking a simple, easy-to-use MIDI keyboard with pro-quality playing feel. 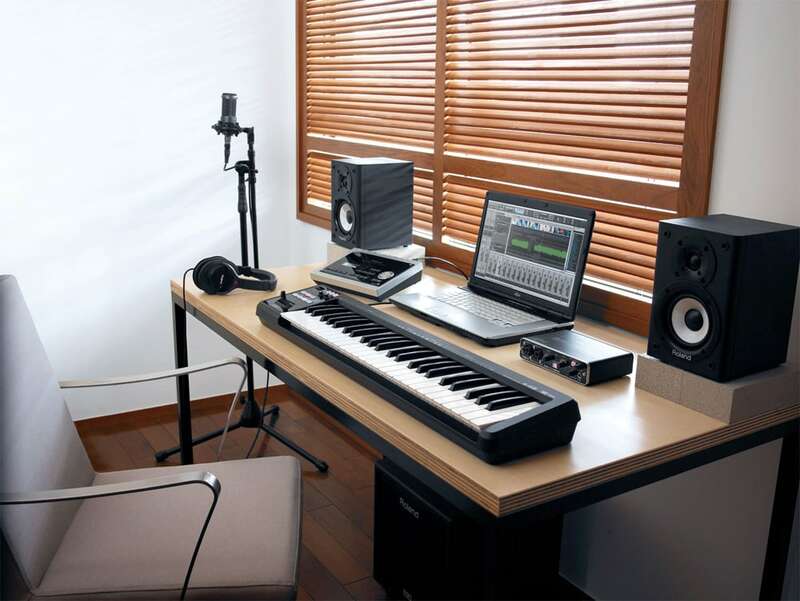 Recently, many musicians have gravitated toward their Apple iPads to record musical ideas. 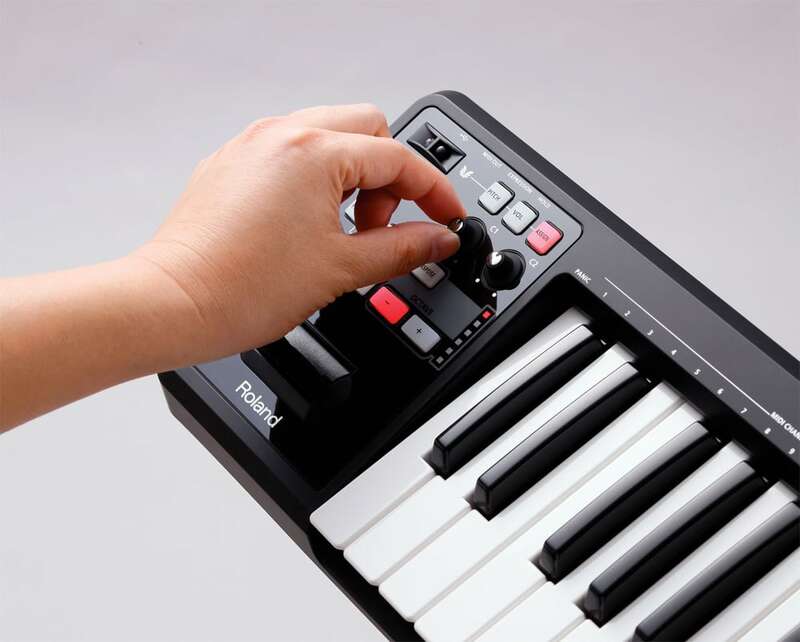 While there are small MIDI keyboards that can be used with the iPad, the A-49 gives you pro playability as well as mobility. Its clean, clutter-free surface and excellent feel keeps your fingers on the keys and your mind on the music. 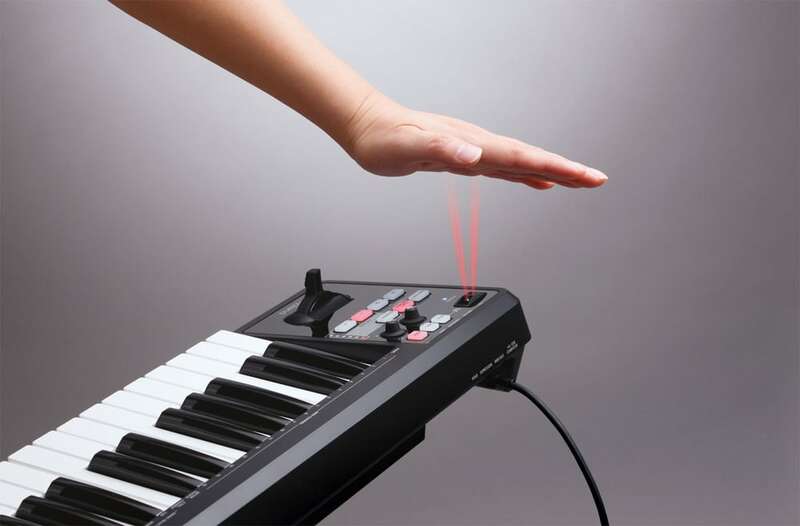 *The A-49 can be connected to the iPad via Apple’s iPad Camera Connection Kit.